Marketing has come a long way. Instead of trying to be the loudest in the room and making sure you’re screeching like a carnival barker, sending one message to the whole world, you can be where your target audience is and customize your message for that location. Isn’t geo-targeting wonderful? In case you don’t know what geo-targeting is let me explain! Geo-targeting is an Internet marketing tool that helps you target a specific audience or demographic based on their location. Wonderful! Say you are a new business and are trying to get a social media following. You can target your post to reach people close to you in the community. Another way geo-targeting is helpful is if you have multiple audiences on one social site. You can target certain messages to just go to a segment of your followers. It’s important to know where your audiences are on social media so you can target the post to that audience, but it is also going to be increasingly important as wearable tech becomes more popular — enter the Apple Watch. Your consumers are going to be even easier to locate and target if they have a location device right on their wrist! While this may sound creepy as a consumer, it is a goldmine for marketers! 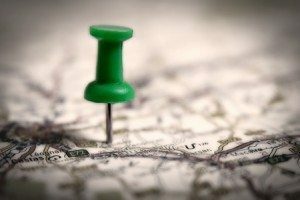 Including geo-targeting in your social media plan is crucial. Not only is it very important to know where your customers are, but once you know the location of your demographic, you can send the right messages to the right people. In doing so, you are able to maximize the full potential of your marketing.